Very useful and handy to label various items. 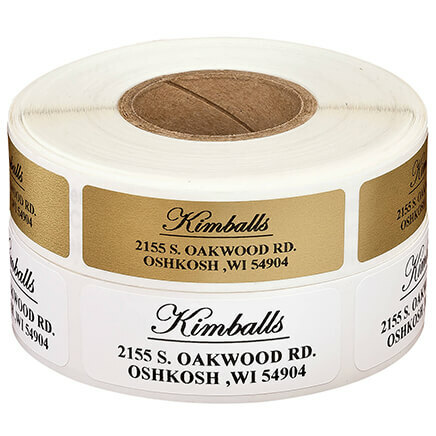 Not just used for using as return address labels. This is nice to have on my tape dispenser. This is great to identify ownership of articles and for bills, return addresses, etc. Just what I needed for my return address on mail. It also helps with gifts given. 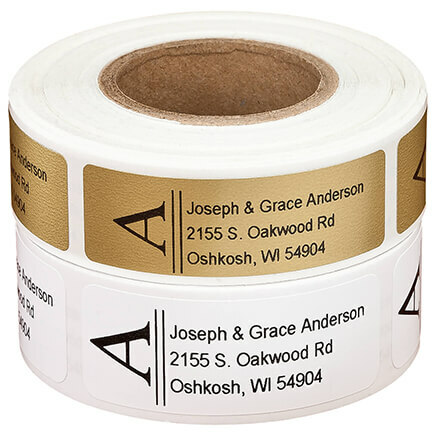 I ordered these labels to apply to my handmade crafts for personal information and washing information. I really like them! 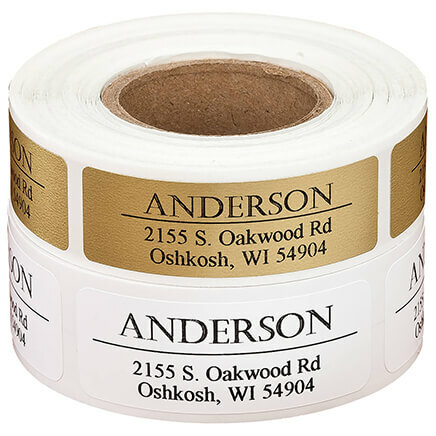 Just needed some address labels for personal use. 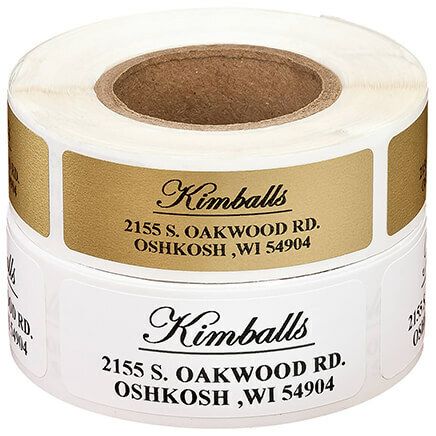 Miles Kimball always has a large selection of labels, so I thought of them right away. Have bought this item in past. They peel off well, enough space between them to grasp the next label. Good script format. Could have had a bold print! Can have up to 5 lines--most are only 3! They are going on business card and pamphlets the color is great and makes them stand out!! They where very affordable and peel off easy. They are smaller then I had anticipated if I can have them a little larger so my name and other business information stands out I would order again!! We use these on brochures but the print isn't Bold enough and we have made repeated requests for a refund to no avail. 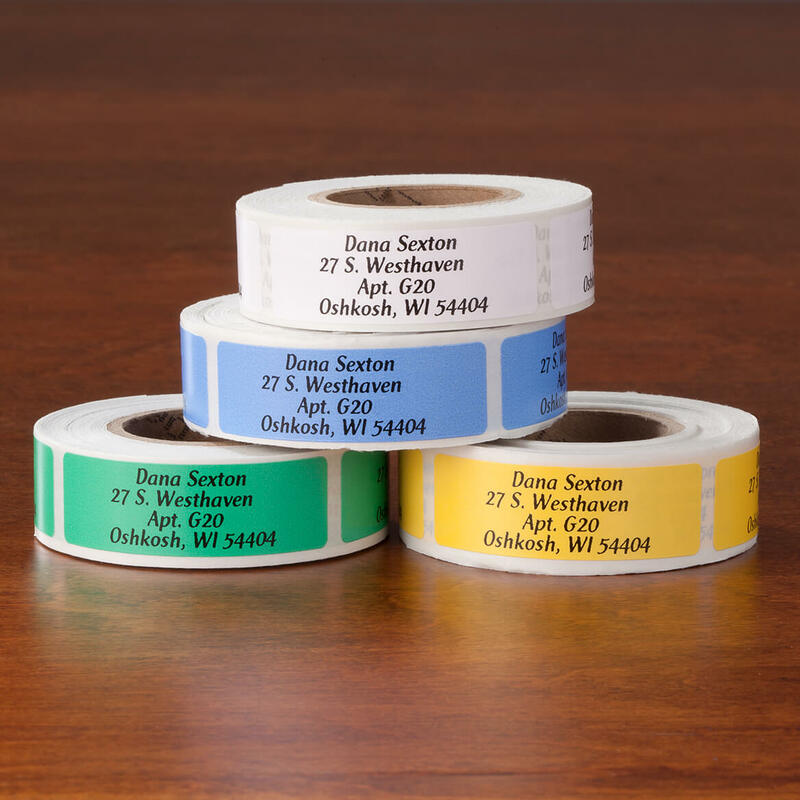 What happened to the quality of these labels? I'm a repeater buyer, and the standard typeface on my latest order is so heavy (bold type?) that some of the letters are nearly filled in. Also, the "g" in my last name touches one of the letters in the street name below it. The result is a black blob that makes it hard to read the street name. Finally, the lower case "a" and "o" basically look the same. The labels are basically unusable. Chosen because I needed more than 3 lines. Could choose color and they were plain and simple. Best price I could find! Love the bright colors. Got these in the past in yellow - loved them! 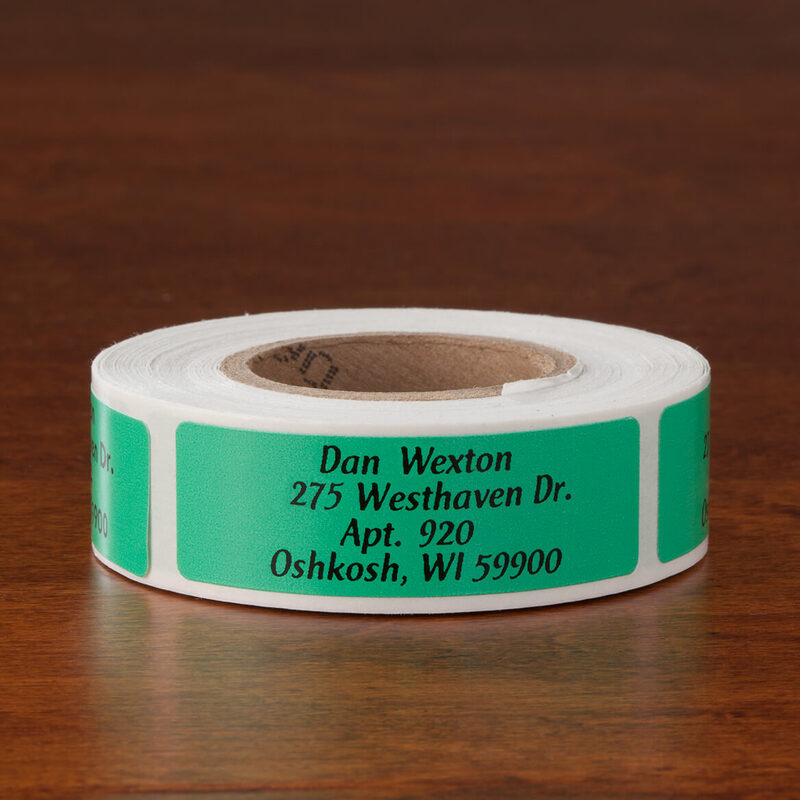 Just needed some standard labels and this site did not tack on all kinds of fees at the end. Thank you. I still send mail out, specially on Christmas. That way I don't get tired writing the addresses by hand. 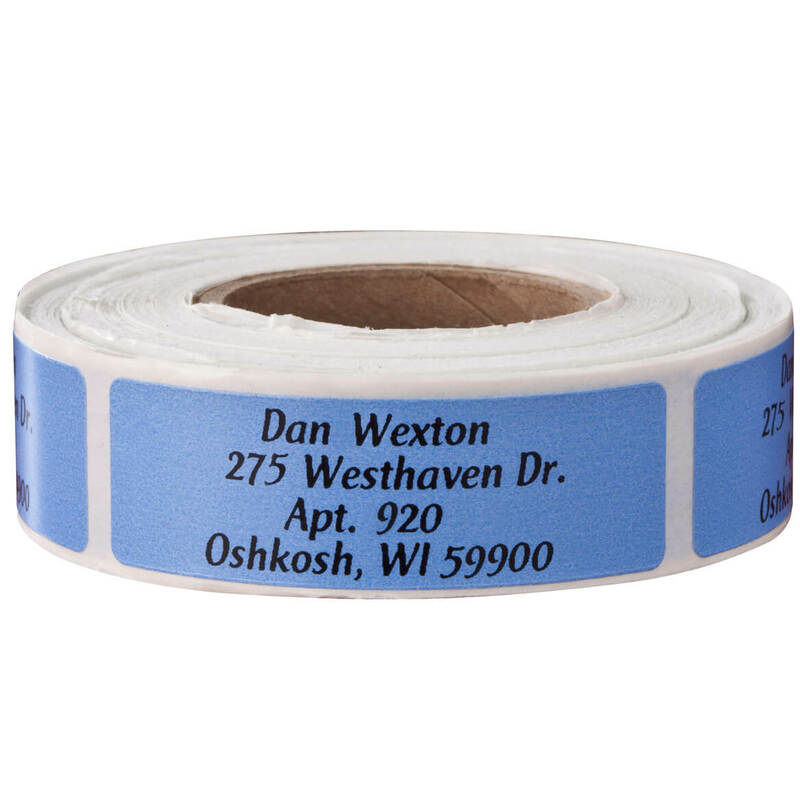 Need in-expensive labels, and they seem great and will do the job! For clothing company thank you. Size is perfect for our bottle labels. looks nice on envelopes. easy to read. I get tired of handwriting my information Time after time. These are simple, neat, and classy. Afforadble price and quick estimated delivery date. Hopefully they turn out as great as I think they will. If so, I will refer my friends and family to your company. I liked the style and the price! I heard you guys were good. Thank you..
Good references , good price, great free shipping! Chose this due to the reasonable price! 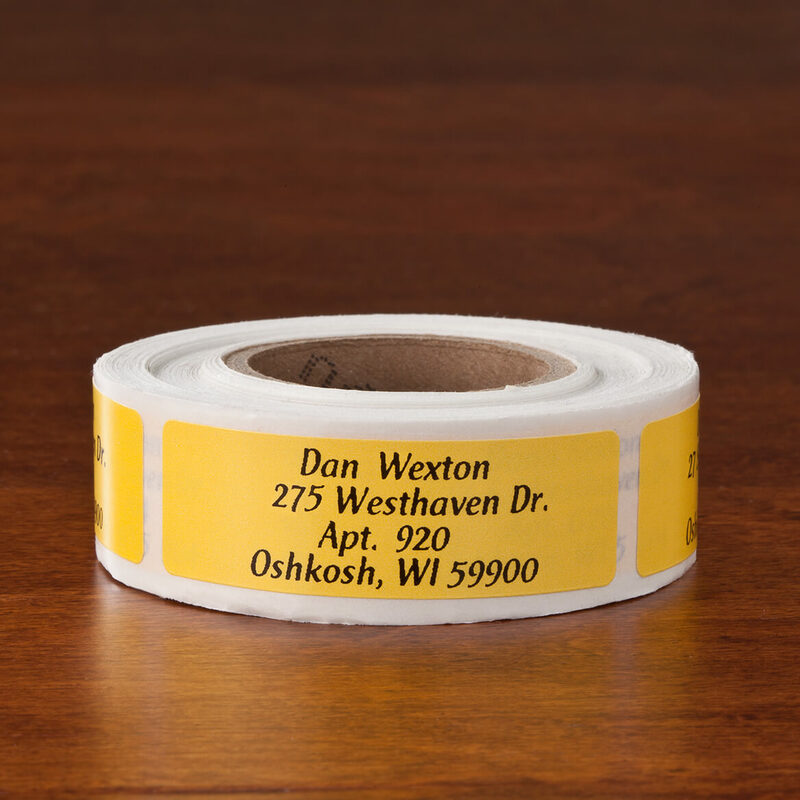 Do you print on a transparent labels ? BEST ANSWER: Thank you for your question. 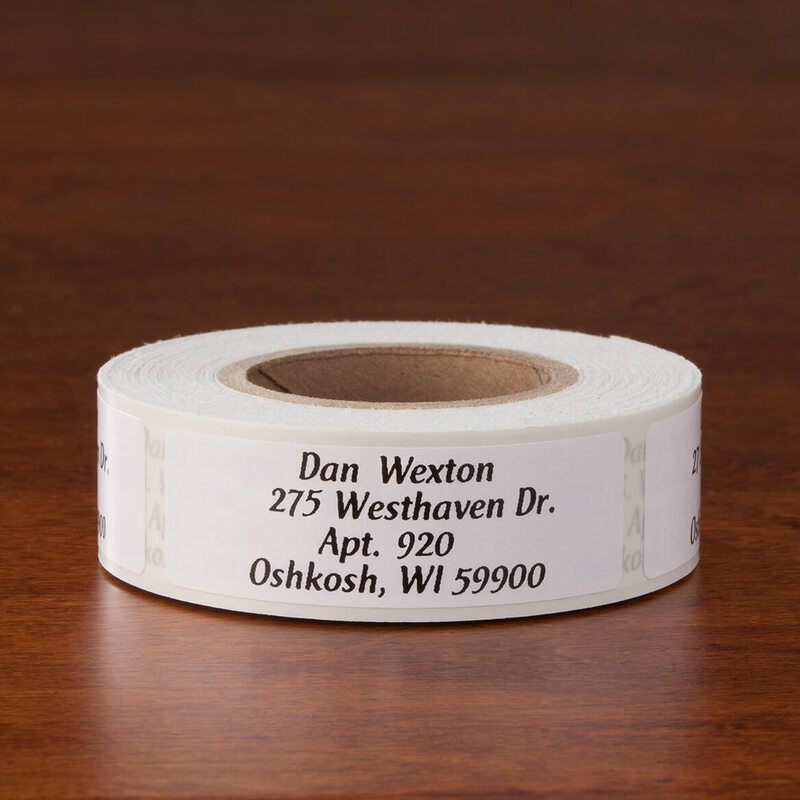 Yes we do carry transparent labels, please look for item 357450. We hope this information will be of help to you. 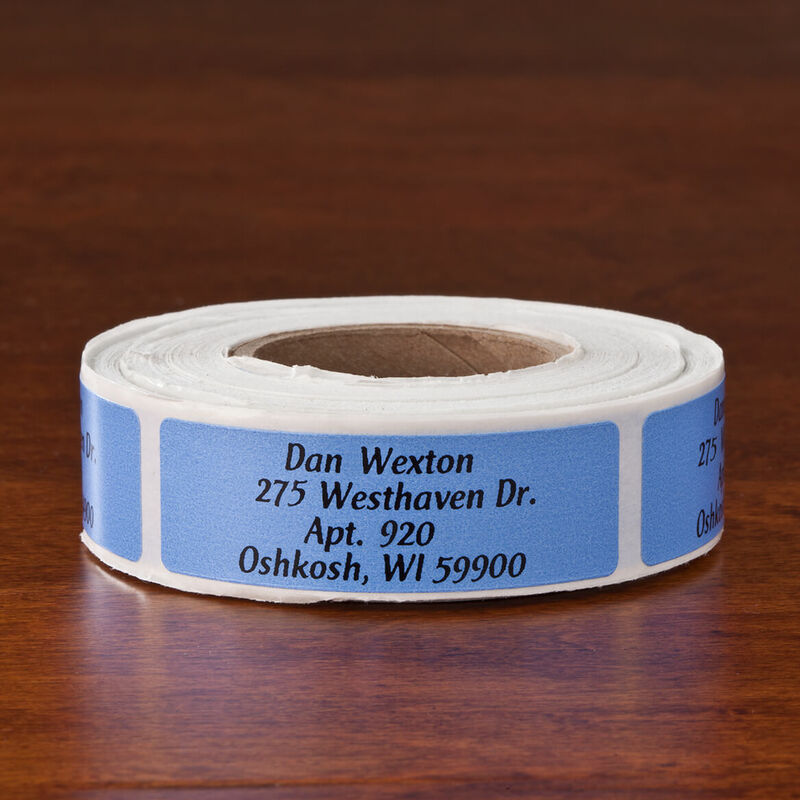 I had them printed on transparent labels. 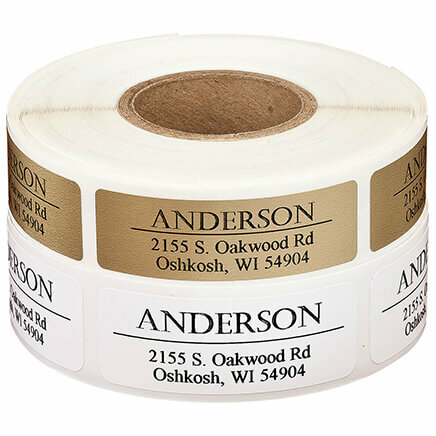 They look great on any envelope or project you need labels for. They are good quality as well.